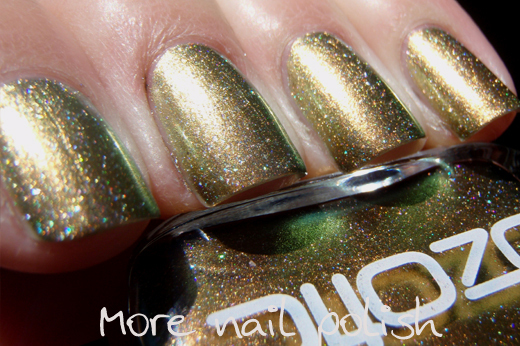 Ozotic 910 Scattered Chrome. 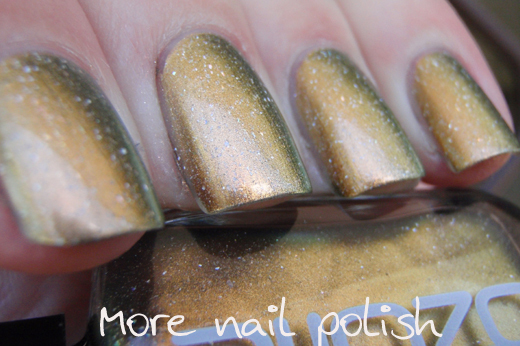 If you saw the bottle shots for these polishes, you probably recognized the colours and finishes. 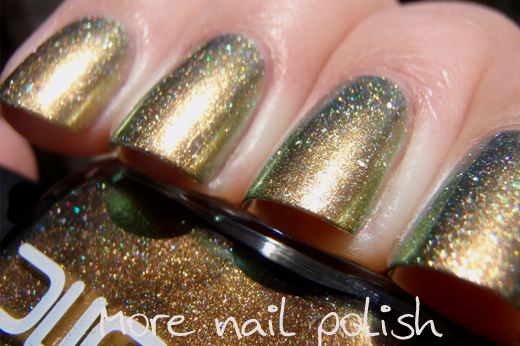 I instantly saw this polish as the Chanel Peridot/OPI Just Spotted the Lizard/China Glaze Rare & Radiant/Jessica Iridescent Eye etc etc dupe - but it has one HUGE difference. 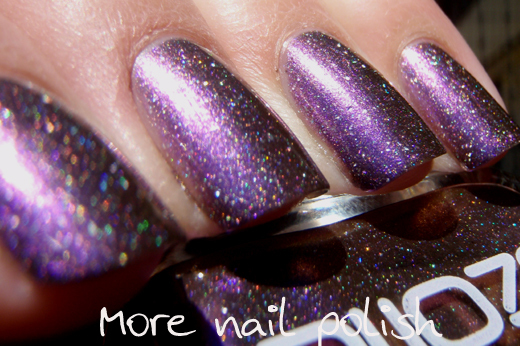 These polishes contain the same large particle scattered holographic effect that is in the Ozotic 600 series and Picture Polish Kryptonite. Two coats with top coats in full sun. 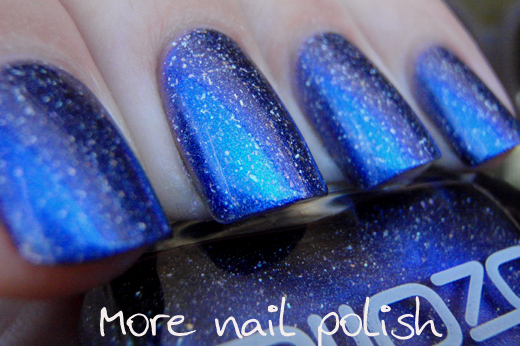 Under water, to bring out the full duochrome effect. 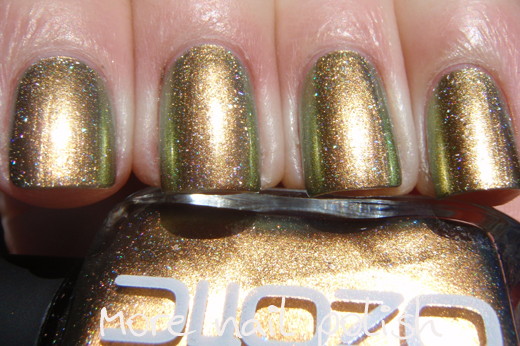 Ozotic 912 Scattered Chrome. 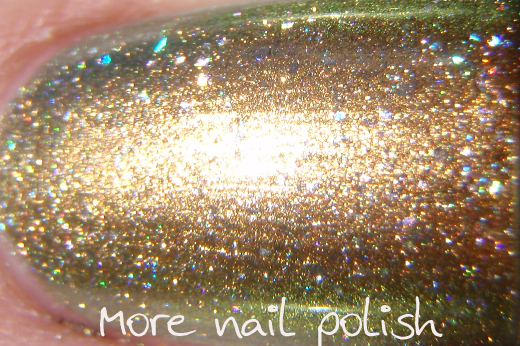 This one is the same colourings as China Glaze No Plain Jane (and a few others that I don't own) Its light duochrome shifts from purple to pink to coppery brown and again it has a very healthy serving of scattered holographic particles. 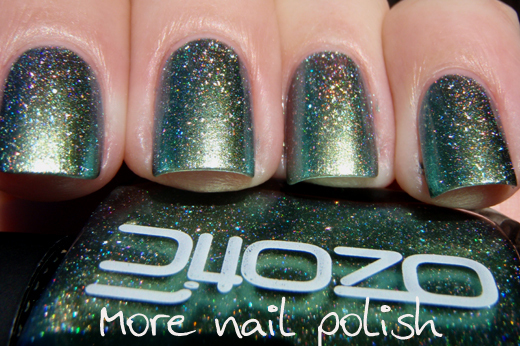 Ozotic 914 Scattered Chrome. 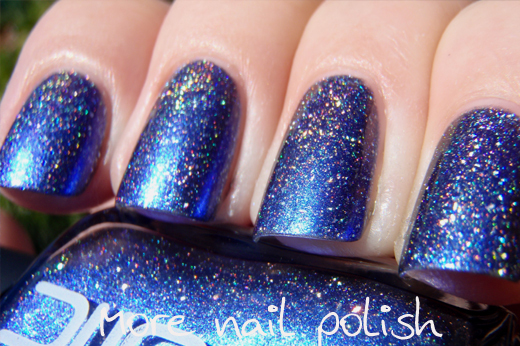 This one is the same colourings as China Glaze Want my Bawdy. 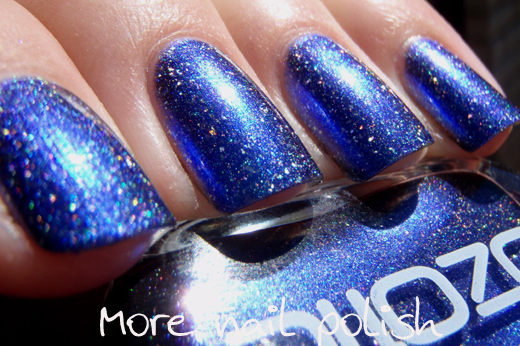 There is a very subtle colour shift in this, just like in the China Glaze polish, it goes from vibrant royal blue to a cool toned purple. 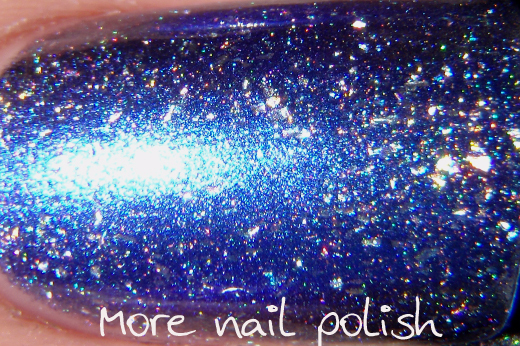 Once again, plenty of holo particles to sparkle though. 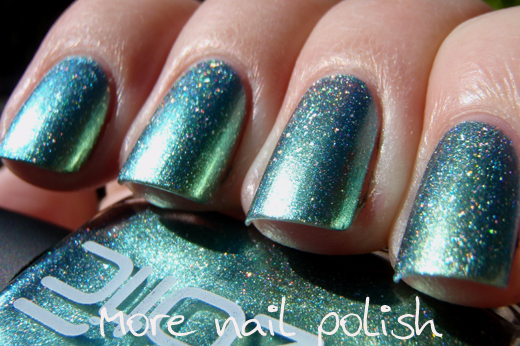 Ozotic 915 Scattered Chrome. 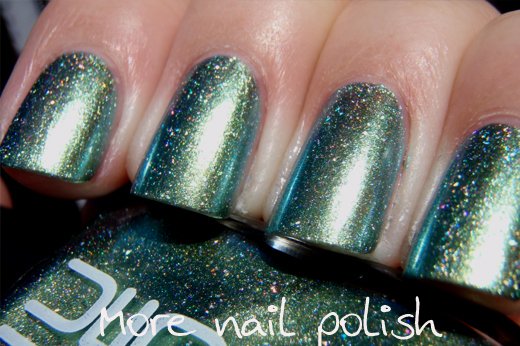 This one has the same colourings as China Glaze Unpredictable/Missha HGR001/Peripera Metallic Green and quite a few others. 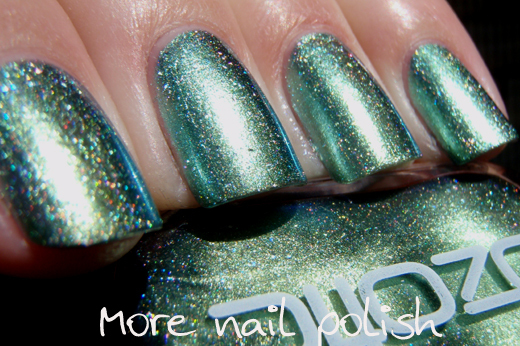 The subtle duochrome shifts from light green to light turquoise blue. Plenty of scattered holographic goodness. The formula on all these was good, quite thick but nicely workable. 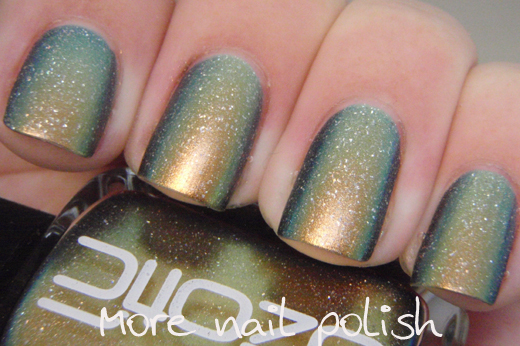 The opacity was excellent too - far more opaque than the China Glaze polishes. If you were in a rush to get out the door you could get away with just one coat, but really two coats was perfect for all of these. 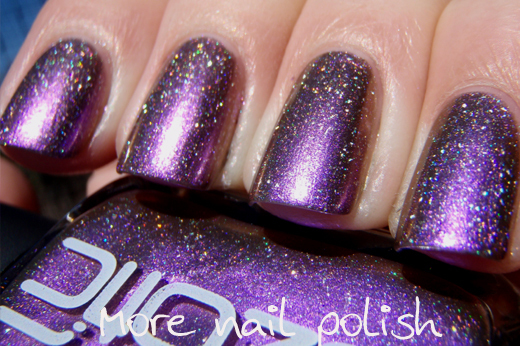 For those not familiar with the Ozotic 600 series polishes or the holographic Picture Polish shades, then you need to know that these holographic particles are not glitter. They are ultra thin and irregular shaped. They don't make the polish feel rough or bumpy and you don't actually need to wear a top coat, as they all dry very smooth and quite shiny. 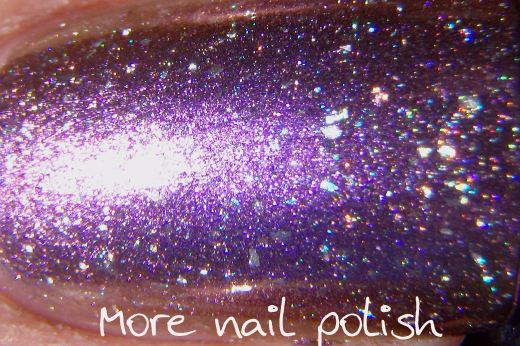 Generally I didn't find these polishes too brush strokey. You can certainly see brush marks in some of these zoomed in macro photos in the sun, but in real life it was not something that I noticed at all. 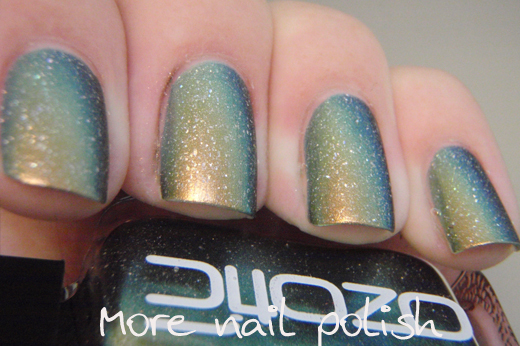 Again to compare to the China Glaze Bohemian polishes, these were not as brush strokey as those. 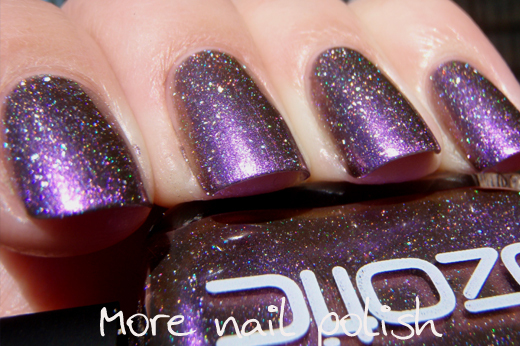 They also dried very fast and the holo finish was not dulled by Seche Vite top coat. Another thing I noticed is that this collect of four polishes is missing polish numbers 911 and 913. I'm hoping this means there are two more colours in this effect to be released. 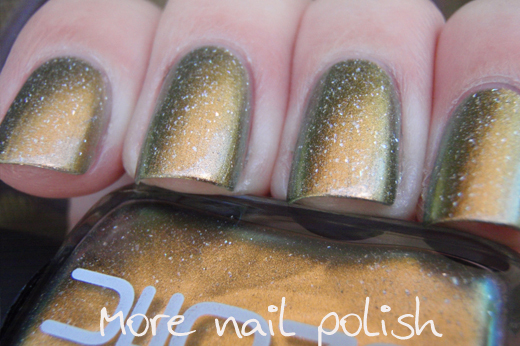 The two colors from the China Glaze Bohemian range that aren't represented in these Ozotic Scatter Chromes are Swanky Silk and Deviantly Daring - Oooohhh I really hope they make those to shades in a Scatter Chrome. 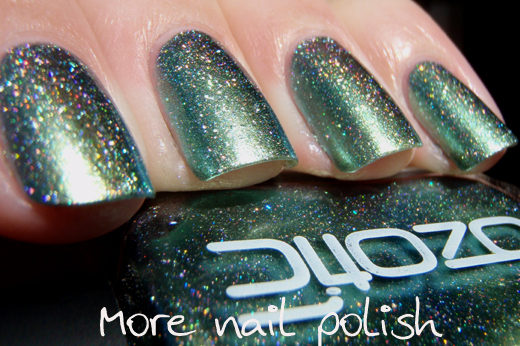 Overall, I think these Ozotic polishes do offer something new and different to the very competitive nail polish market and I like them quite a lot! 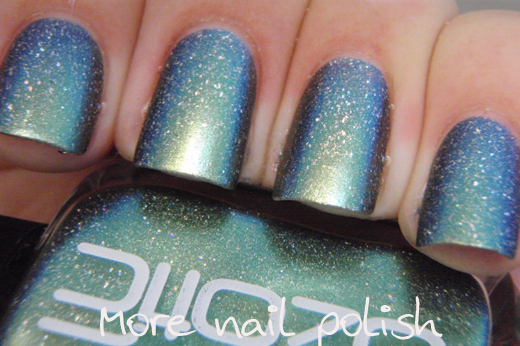 The new Ozotic 900 series polishes will be available from Picture Polish next week. 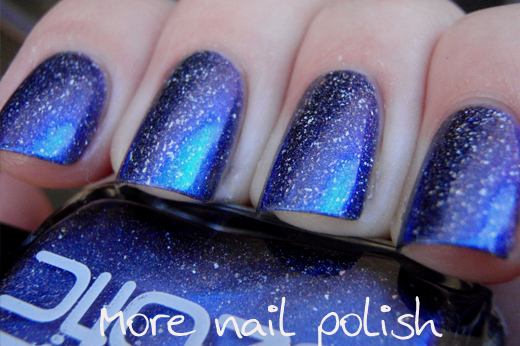 They are also available through all the Picture Polish Network members. Wow, so beautiful! They are all so gorguz & that blue especially...such a stunner! These are awesome! 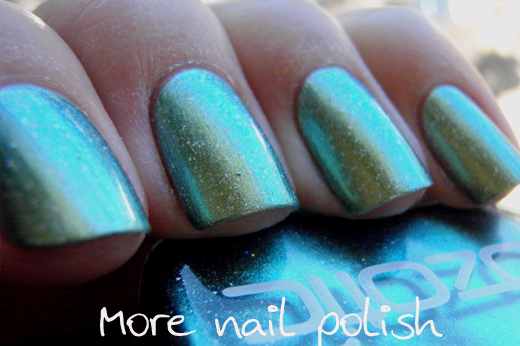 I love the underwater shots too; I wish more people would do underwater pics for multichrome polish. They're fabulous, and so are your pics! I like 915 the best.